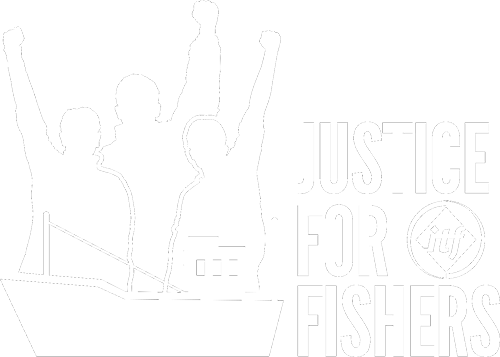 As reported in July, the ITF is encouraged by Thai Union’s commitment to improving labour standards, which will help ensure that suppliers who work in the shadows – illegally fishing and violating workers’ rights – will no longer be part of their supply chain. The agreement between Thai Union and Greenpeace, re-affirms commitments supporting freedom of association and collective bargaining throughout the company’s global supply chain, for all workers, including migrants. This article summarises the highlights of the Vessel Code of Conduct announced by Thai Union. Fishers must be provided with a copy of their employment contract in their own language. The content of the contract will include at a minimum the payment schedule, grievance and disciplinary procedures, work and rest hours, overtime, holiday, repatriation, resignation and termination clauses. All workers are to be paid fair wages, and payments are to be documented. Payslips (or receipts) are issued to crew which clearly detail all aspects of the transactions, such as agreed wage, catch bonuses and any legal or agreed deductions. Migrant workers are treated as equals and provisions are made to meet their welfare and employment needs. Discrimination is prohibited and includes but is not limited to, that based on: caste, national origin, ethnicity, religion, age, disability, gender, marital status, sexual orientation, union membership, political affiliation/beliefs, pregnancy, health or disability. All workers are free to exercise their right to form and/or join trade unions and to bargain collectively where permitted by law. Crew have the right to join or establish associations of their own choice and bargain collectively without prejudice to the skipper’s command and overall responsibility for the safety of the crew and the safe operation of the vessel. Crew have the right to freedom of association and are able to join any unions and organise themselves. Crew have the right to operate the power of collective bargaining. Any collective bargaining agreement or labor contract covering crew members shall be made available by the Captain or vessel owner to the crew upon request. For vessels remaining at sea for more than three days, minimum hours of rest must not be less than 10 hours in any 24-hour period, and 77 hours in any seven-day period. Working medical equipment and lifesaving equipment are to be on board the vessel and are to be suitable for the number of crew members and the length of the voyage. Crew are to be provided with personal protective equipment (PPE) and working clothes (in accordance with the Health and Safety risk assessment) at no cost to the worker, and are replaced if broken due to normal wear and tear. In an event of serious injury, all crew have the right to go ashore. Vessels should have fair and transparent procedures to ensure that the ending of contracts, grievances and disciplinary actions are conducted fairly and confidentially. Any incidences are dealt with without repercussions for the crew member and are monitored as they progress to an unbiased resolution. No crew or employee shall be disciplined or dismissed for providing truthful information or assisting in the application of the VCoC. A VIP is to be initiated if any major or critical non-compliances are identified during an audit. Failure to comply with this VCoC or recommended remedial action will result in supplier contract termination and legal actions, without recourse.